Collapsing transpacific freight rates are wrecking the bottom lines of every containership operator serving that trade. 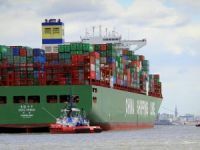 Collapsing transpacific freight rates are wrecking the bottom lines of every containership operator serving that trade, ocean carriers are warning in a fresh alert about the depth of the crisis rocking the global liner shipping industry. A price war is now raging on the Asia to US route that has sent freight rates into a tailspin over the past month. The Transpacific Stabilization Agreement, which represents 14 major lines, has set out the consequences of such low prices. ?To maintain current rates over an 18-month timeframe would threaten the financial viability of any major carrier in the market today,? said the TSA"s executive administrator Brian Conrad. 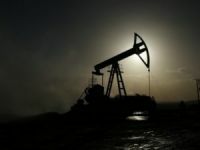 The association admits that both its own members as well as outsiders ?have participated in the rate actions in selected commodities and customer segments during the past month.? Non-members include Maersk Line, while Japan"s MOL recently resigned. 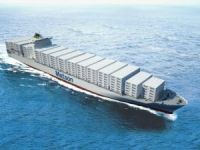 But most of the other major players on the Pacific, including APL, CMA CGM. Cosco Container Lines, Evergreen, Hanjin Shipping, Mediterranean Shipping Co, and NYK Line, belong to the TSA. 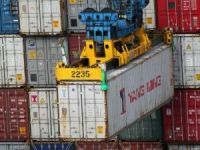 Recent reports from Hong Kong indicated that spot rates had come down from around 1,700 per 40ft container to $1,300. The eastbound Pacific route, the world"s largest trade lane for containerised traffic, has been suffering from cargo slowdown for longer than other corridors, and was in the red well before the latest downwards lurch. ?It"s a safe statement that no carrier is operating profitably in the eastbound transpacific market today,? TSA chairman Ron Widdows said two months ago. 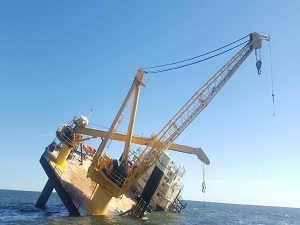 ?Rates have not kept pace with operating cost increases, and separate charges to address fuel and other costs have been routinely undercollected in a highly competitive environment. No container line is in a position to run a scheduled service with ships running at less than full utilisation, given current costs.? Since then, conditions have worsened, with the TSA voicing concerns about recent rate instability and competitive actions that have taken some rates to non-remunerative levels. Following a meeting in Hong Kong earlier this week, Mr Conrad issued a statement describing the recent rate actions as shortsighted and regrettable. ?They haven"t produced new business, they haven"t increased anyone"s market share, and they do not adequately reflect operating costs,? he pointed out. A high proportion of freight that moves across the Pacific is covered by service contracts, most of which run for 12 months from May. 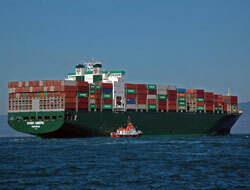 The cheap rates would only be available for a relatively small amount of cargo. But what is acutely worrying for lines is the timing of this downturn, since they will soon be meeting key accounts to discuss 2009-10 contract terms and would usually publish details around now of the level of rate increases they will be looking for next year. This time, though, the TSA has only said lines ?have strongly indicated? that they do not intend leaving current spot rates in place beyond the end of January. ?No one should expect to see freight rates extended at current levels in upcoming 2009-10 contracts,? said Mr Conrad. ?To maintain current rates over an 18-month time frame would threaten the financial viability of any major carrier in the market today. It"s TSA"s hope that the trade as a whole will take a step back and reconsider the financial impacts of recent actions, in the face of widely reported carrier losses and service consolidations.? 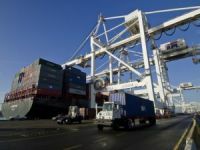 Transpacific carriers have not done well during annual contact negotiations in recent years. The outcome of the 2006 renewals was dismal, with rates crashing, one senior industry source told recently. Neither was there any turnround in 2007, although 2008 saw a ?slight improvement?. Carriers were more successful recovering fuel costs, with new bunker adjustment mechanisms introduced. Even so, the trade did not return to the black as the slump in US consumer spending hit import volumes this year.